Reliance Jio Core Balance (Top Up) - What it is & How to Recharge? 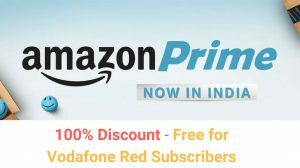 Reliance Jio offers unlimited free calls under its prime as well as regular plans. This means that recharging for a plan is everything that the customer needs. That said, there’s the Core or top-up Balance which is separate from the plans. It is a new term because Jio did not offer any way to top-up and use the core balance during the free period. However, now that the Jio services will be chargeable, the Core Balance comes into effect. You’d be wondering what exactly is this core balance and how will it be used? We’ll answer that for you right here. What is Core Balance in Reliance Jio? The core balance is the primary or main balance of your Reliance Jio SIM card. 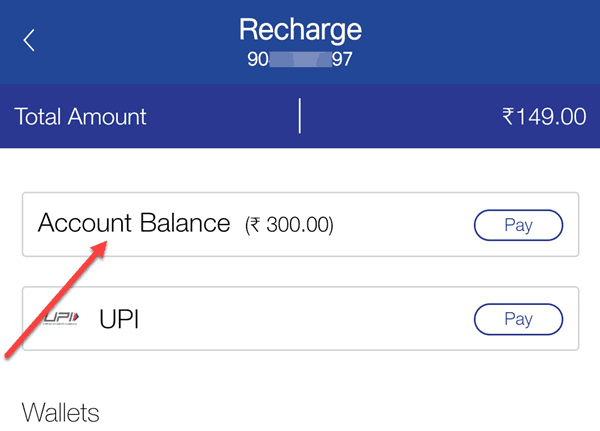 If you’ve accessed the MyJio app or the Jio website, you’d have noticed that it says Balance Rs. 0.00. This balance is what Jio terms as core balance. Core balance is similar to the prepaid balance you have in the SIM cards from other operators. Starting 1st of April, you can top-up the core balance and pay for various Jio services. Where is Top Up (Core Balance) Used? The core balance is used to charge the customer at base tariff if a plan does not exist. So, the use of core balance is to cover for overages and the usage which is not free under the subscribed plan. Or if the customer does not have a plan at all. Update: Jio has modified its policy and now a customer needs to have a plan in order to make calls. Users can no longer use the core balance to pay for calls and SMS under base tariff. I’m hopefull that this will change going forward when TRAI gets stricter on them. Example of using core balance: Let’s suppose you subscribe to the Rs. 99 prime plan. You’ll get unlimited voice calls, 2 GB + unlimited slow data and 300 text messages (SMS) for 28 days. Now, if you send more than 300 text messages then your free usage will be over. In order to send more text messages, you’ll be charged from your core balance. Where to use the top-up balance? Susbscribe to a plan voucher (monthly calling + data plans). Call and text (SMS) international (non-Indian) phone numbers. Calls and SMS to premium numbers. Send SMS beyond the limit of 100 SMS per day in cae of unlimited plans; and also beyond total number of allowed SMS in case of plans with limited free SMS. Charges are Rs. 1 per SMS. You can recharge your core balance starting from 1st of April 2017. Recharges can be done using the MyJio app, Jio money app or the Jio website. You can also visit a retail store or 3rd party online recharge websites such as Paytm and Mobikwik. Narender Singh friend, I need your help. I have 3 jio numbers and the main monthly plan expired just last month and i did a top of 20 rupees on them but as expected no incoming and outgoing calls and no messages no nothing. I contacted jio support but they also refuse to help me so can you tell me any way of how can i shift this topup recharge to main plan by adding more appropriate money so that there’s no money left in core balance and the money which i added as top up comes into use in some other way. For example, I want to take 1.5 gb plan of 149 so how much money should i add or recharge in main balance as top up that i will be able to move that into monthly plan (that actually works)? Thanks and keep it up. Hi Vicky, you can add more top-up balance and then use it to recharge your primary plan. However, it will not be advisable to use it for the Rs. 149 plan as there are not enough top-ups which can bring you at that sum. You will have to gradually consume it and for that, you will probably have to top-up more amount. Anyways, when you have a top-up equivalent to the selected plan, you will be allowed to pay using the top-up balance. It is demonstrated in the image below. Can you more elaborative so that i can understand it well? Thanks. Very good info. I did this recharge unsuspectingly just to find out that it’s useless. Also went to jio store but the guys were rude and told nothing of this sort. I like your point: when TRAI gets stricter on them. No one is afraid of TRAI these days, only customers should be. The Mi Note was not a VoLTE enabled smartphone. You should be able to use data on your Jio SIM. Ensure that you have set the phone to 4G (Preferred) mode. Hi Ravindra, please check with the Jio customer support. Also confirm with Phonepay that the recharge went through. 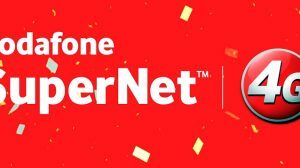 How to buy plan vouvher using jio main balane? Can any one tell me, my plan is over and now I had recharged with 100 rs talktime but when I call someone ,ot say that u dnt have balance an you cannot mKe your call… Why is this happening?? how to buy jio plan with core balance……???? Sir, I agree TRAI fixed a Base Tariff to all Prepaids. Airtel, Aircel, Vodafone, Idea, BSNL are following TRAI rules but Jio is not following. You cannot make call with the main balance if your Rs.149 or above plan expires. Jio is cheating the customers and forcing customers to recharge the plan Rs.149 or above to keep the number active. This really scares me because we updated our phone number for all govt schemes and for Bank accounts. Jio printed the Base Tariff plan on there Prepaid SIM card pack but they are not following. When I called Jio customer care, they explain some thing irrelevant and confuse you. You can do the regular top-up and use it for calling and texting under base tariff. On my jio no plan is activated so i use top up of 10 rs. It worked fine when I tried it last. I’ll give it another go when my Jio plan expires.